A simple cartoon design that can be taken a couple of different ways I suppose. 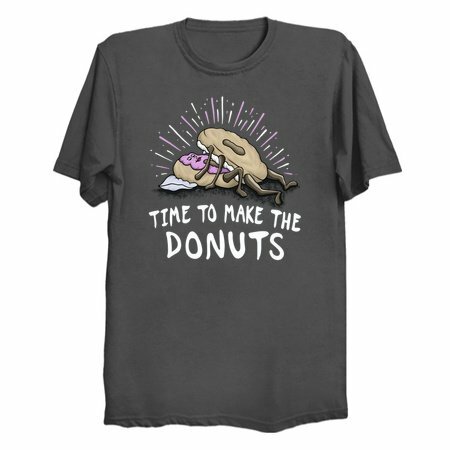 I meant it to be a silly humorous take on that old saying from my youth “Time to make the donuts”. Basically, time to get up and do something for the day. 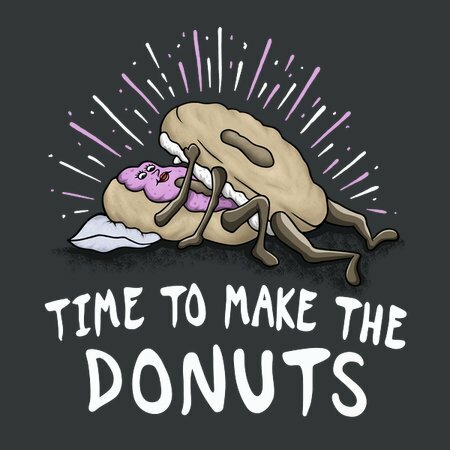 That, coupled with donuts in the act of making baby donuts might leave you smiling or possibly more confused as to how or what synapses are firing off in my mind for me to come up with stuff like this. What ever the case, I wish you all a great day!